Have an Older Home with Old Insulation? Or a Newer Home with New Insulation? 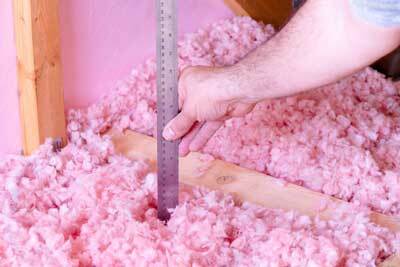 With Our Blazing Florida Sun, Your Existing Insulation May Not Be Enough! Florida Energy Solutions is a home insulation contractor working to adequately insulate homes in and around central Florida. We want to ensure that the inside temperatures that you desire can stand the test of the coldest and hottest temperatures outside. As the term suggests, home reinsulating means that we will skillfully update your home’s insulation so that your home is best protected and able to maintain desired temperatures. It also means up to 50% savings on your utilities! Better preparing your home to keep you comfortable during the summer or winter months. To cut down on energy consumption across the Orlando metro area along with the rest of Central Florida. We do not try to cut energy consumption because of a political mission. We do it because we genuinely want to help you to conserve energy and save money on your utility bills! With our hot and humid climate, spray foam insulation will provide you with the most superior protection. This safe and GREEN product will seal out the elements and keep your A/C inside. SFI will also provide the most energy and money savings compared to other insulation products. Whether you have an older home with decaying fiberglass insulation or a new home, updating to a newer alternative will save you money. Blown-in insulation, which is made from recycled newspaper materials will better insulate your home, help to protect you from fire, mold and insects and is environmentally friendly! This is an especially great option for new construction projects but can also be added to existing structures without removing drywall. We drill small holes in the outside structure and fill in the cement block with non-expanding, injectable foam. Once completed, we patch the holes to match so nobody will ever know it was done. Contact us today to see how our home reinsulation services can save you money!